Sergeant Alanzo Carty of the Royal St. Christopher and Nevis Police Force. 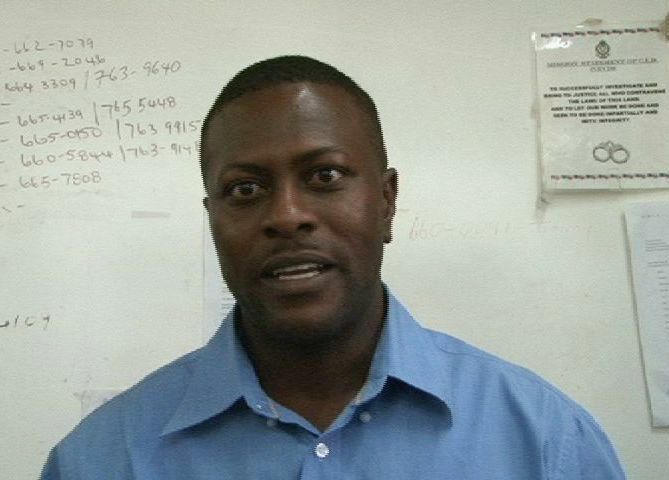 Sergeant Alanzo Carty of the Nevis division of the federation’s Police Force, in an interview with the Department of Information spoke of how the operation was carried out and highlighted some of the villages that were targeted. “The Police executed a number of operations which took place in St. Kitts and Nevis where we executed a number of search warrants on premises in Basseterre, Parsons Village, Tabernacle Village and we were able to recover quite a number of electronic items some of which have since been identified to have come from houses on Nevis including Jones Estate, Brazier’s and Gingerland. The large stock of items, which are being stored in police stations around the island, are said to value in excess of $150 thousand. Arrests have been made in relation to the offenses and perpetrators are expected to appear before the Magistrates Court. Sergeant Carty, on behalf of the Force, recorded his appreciation to residents for aiding the Police in their investigative pursuits. “I would like to thank the general public for their assistance to the Police in our crime fighting efforts and I would also like to say thank you to the officers of the Nevis division who have worked diligently in bringing these matters to a close,” Carty said.